Content Creators: Are They Still Needed? In an age when marketers are able to create their own content, are specialized content creators still needed? These days, anyone can create content. Blog sites such as WordPress and Blogger make it easy to publish stories and articles, online tools like Canva make graphics development a snap, and videos can be easily shot and then edited on your own computer. In other words, if you have a message, you have a platform. Not only that, the myriad of social media channels allow these marketers to literally flood the Internet with messages, reaching thousands upon thousands of people at once. Although this empowerment has allowed marketers to take content matters into their own hands, many content marketers feel that there is simply too much content out there. The focus has become in the quantity, rather than the quality, of the content produced. This is because many marketers feel they need to constantly produce content to keep top of mind with their audience. That’s understandable, but I’d suggest that over time, these efforts will lose effectiveness as savvy consumers begin to see that the dearth of information they’re being exposed to may be substandard. The lack of quality may be due to marketers rushing content out for the sake of doing so, and by paying less attention to quality because they’re already tasked with so many other duties. This might not be worrisome to large, well-known brands that already have a strong, loyal following. But what about the smaller organizations all fighting for attention in the same space? Shouldn’t they pull back on the quantity to focus more on quality and relevancy? Of course they should. But how should they go about it? I would suggest that marketers consider retaining freelance content creators who specialize in writing, images/graphics, and video production. Marketers can provide the freelancers with guidelines and templates to maintain consistency, and also serve as editors to ensure that the content meets set standards. They can also arm the content creators with their organization’s business goals, to ensure that content creators submit work that is in line with these objectives. This will allow them to focus on other areas of their campaigns, while still having the final word over what content is published. 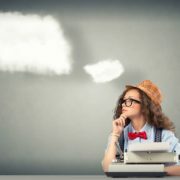 If marketers insist on creating their own content, they should at least seek out freelance editors, especially in the case of written content. Editors can make sure that the work is as concise, engaging, and error-free as possible. In this case, the marketer has more immediate control over the content, but better quality will be assured in the long run. Do you create your own content, or retain freelance content creators? Tell me in the comments! http://editorsdesk.net/wp-content/uploads/2016/10/bigstock-woman-writer-56909063-min.jpg 1067 1600 Richard Todd http://editorsdesk.net/wp-content/uploads/2017/06/the-editors-desk-logo.png Richard Todd2015-10-12 23:49:032017-06-10 19:24:50Content Creators: Are They Still Needed? DuckDuckGo: A Viable Alternative to Google? Increasing privacy concerns are leading customers away from Google to alternative search engines such as DuckDuckGo. When you want to know something, almost anything at all, the first (and possibly only) action you might take is to Google it. And why not? The results are often quick, reliable, and expansive. You want a pizza? Google can provide a large selection of neighbourhood pizza restaurants in a matter of seconds. On mobile? Just press on the phone number and you’re moments away from being connected. There’s nothing like instant gratification when you have a sudden want. The trouble is, for the foreseeable future, you might see pizza ads randomly popping up in your browser. Quite often, whatever you have previously searched for comes back to haunt you in the form of behavioural retargeting. Although some folks might consider these ads jarring, or even intrusive, marketers consider them valuable tools to personalize the online experience. Ads need to be served, and data about your online activities is invaluable to provide you with the most relevant offers. 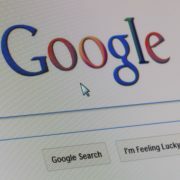 But with data privacy concerns increasing among consumers, alternatives to Google are becoming more popular. One of those alternatives is upstart DuckDuckGo. Launched in 2008 by Gabriel Weinberg, DuckDuckGo calls itself “the search engine that doesn’t track you.” It answered over one billion queries in 2013, a clear indicator that its star is definitely on the rise. That’s one billion opportunities that marketers who solely relied on Google missed out on. In no way is DuckDuckGo an immediate threat to Google’s dominance in the search marketing space, but marketers would be wise to consider DuckDuckGo a great place to advertise as people become increasingly concerned with privacy over time. http://editorsdesk.net/wp-content/uploads/2016/10/bigstock-Brussels-March-Google-C-43303162-min.jpg 2000 3000 Richard Todd http://editorsdesk.net/wp-content/uploads/2017/06/the-editors-desk-logo.png Richard Todd2015-10-05 20:00:402017-06-10 19:25:33DuckDuckGo: A Viable Alternative to Google?